Express Employment Professionals of Temple, TX is a leading staffing provider helping job seekers find work with a wide variety of local businesses. Welcome to Express Temple, the premier employment agency in Temple, TX! Our employment agency offers everything job seekers need to find rewarding work in the Temple area, plus the services that employers are looking for when they have job openings that need to filled quickly. Whether you’re looking for your next job or for a new team member for your business, Express Temple is ready to go to work on your behalf. Express Temple serves workers and businesses in the Temple area, including Bell and Coryell Counties. Our employment agency’s services are available to job seekers and employers in Temple, Belton, Killeen, Harker Heights, Killeen, Fort Hood, Copperas Cove, Troy, and Salado. We are also proud to be a bilingual staffing center, with opportunities for English-speaking and Spanish-speaking job seekers. Looking for work in the Temple area? Then our employment agency is looking for you! Express Temple makes finding part-time or full-time work in the Temple area a breeze for job seekers. We'll help you find a position that fits your skills, your schedule, and your personality. Instead of applying to job after job after job on your own, our agency will streamline your search for employment. Simply apply to become an Express Associate and interview with our employment experts. As an Express Associate, our team will perform your job search for you, leveraging our connections in the Temple business community to find a placement that fits your specific needs. Our employment agency offers job placements for a wide range of positions with employers in Temple and the surrounding areas. Openings commonly include Professional, Light Industrial, and Office Services positions. To get started, simply browse our online job openings and apply online. Businesses in the Temple, TX and the surrounding areas rely on our employment agency for quick, cost-effective, and reliable staffing solutions. We know how frustrating and expensive it can be to keep your staffing efforts in-house — especially when it comes to short-term and medium-term contract positions. Our staffing service will help you avoid staffing headaches and keep your business running smoothly by connecting you with hard-working, qualified professionals from the Temple area. Express Temple distinguishes itself from other local employment agencies thanks to exclusive staffing systems and our pool of high-quality candidates. Thanks to support from Express Employment Professionals international HQ, our agency benefits from staffing innovations that helped put over 500,000 people to work in 2016 alone. Meanwhile, our recruitment strategies allow us to maintain a deep pool of candidates for any position, making it easy to fill openings quickly. Find out how our employment agency can help your business by calling Express Temple today at (254) 771-5595. 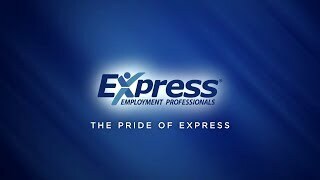 The Express office Temple, TX has a variety of jobs available, with full-time, part-time, and temporary positions available. And, as one of the leading staffing agencies in North America, Express provides employment services and workforce solutions to employers throughout our community. Contact us today to get started on finding the right fit for you.